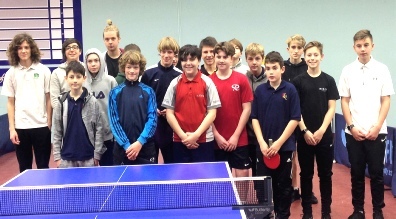 Last weekend saw the second annual secondary school boys’ table tennis event at the Geoff Reed Table Tennis Centre. Most of the Island’s schools were represented with a high standard of play, focus and enthusiasm from all players. 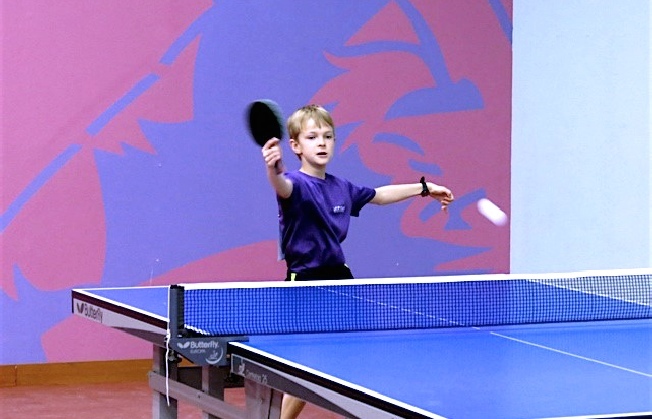 Seasoned juniors from the JTTA Junior Academy were put to the test by new faces and talented players over 3 hours of nearly non-stop table tennis. 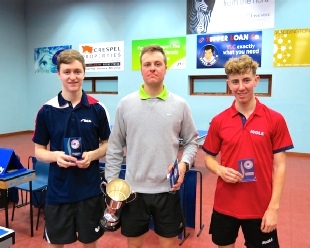 The tournament favourites, Tanguy Billet-Masters and Thomas Cotillard from Victoria College, clinched the winning trophy after a thrilling 3-2 victory over the Les Quennevais 1 team of Junior British League team player Alfie Sutherland and his team mate, Noah Risby. Sutherland won both his singles but lost out in the doubles 11-13 in the deciding match. Max and Declan Roche of Le Rocquier finished third, having pushed Les Quennevais 1 and Victoria College all the way. Max Roche beat both the Victoria College players but lost out 2-3 in the match overall. In fourth place, there was a 3-way tie between two teams from Hautlieu and the Kidman brothers from De La Salle. Training sessions for beginners run on Saturdays and Sundays (12.00-1.30pm) for those who would like to improve their game. Last weekend saw the fourth secondary school girls table tennis event at the Geoff Reed Table Tennis Centre. 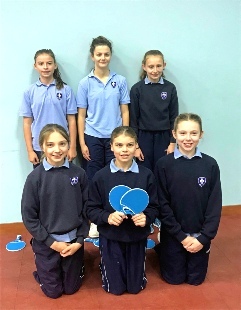 Teams from Beaulieu, Jersey College for Girls and Les Quennevais played nearly 3 hours of non-stop table tennis in a round robin format. 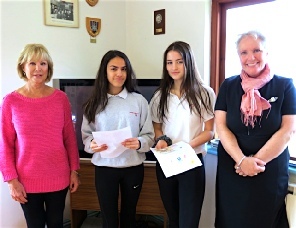 Pia Gurner, a member of the JTTA Junior Academy who represented Jersey in June's Intertrust Senior Schools International, was partnered by Kathryn Silcock in JCG Team 2 but they were agonisingly pipped into runner-up position by their older JCG colleagues, Natasha Baluschi and Zara Packman who clinched the winners' trophies yet again. The Beaulieu 2 team of Rachel Alley and Chloe Lagadu, who were narrowly pushed into third place by losing 2-3 to JCG 2, are two names to watch for the future. There was little to separate the other teams (two more from each of Beaulieu and three from Les Quennevais) and referee Martin Tupper had to negotiate a three way tie before settling the final positions. Mrs Fitzmaurice from Beaulieu was delighted with the performance of her teams and Mr Le Feuvre from Les Quennevais described the attitude of their players as "troopers." The JTTA President, Eileen Lucas, presented the trophies and certificates. 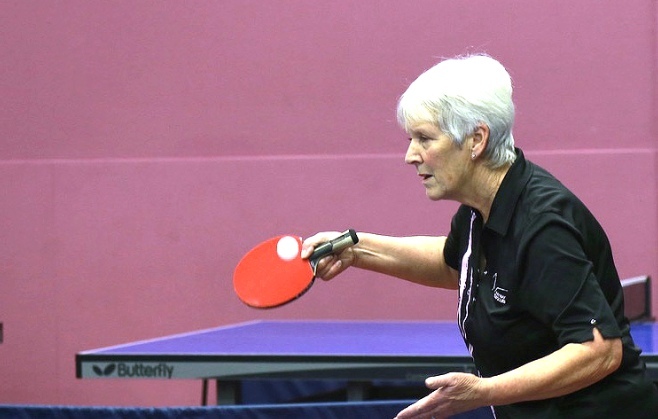 Audrey Tupper, who organised the event said, "There is wonderful work being done for girls table tennis now, which is really exciting with a lot of untapped talent lurking out there. We were thrilled with the standard of play, focus and enthusiasm from all the players. After 3 hours the girls had really got their eye in and were hitting the ball very well but the main aim of the event was for them to enjoy playing." A big well done to all who took part in the Home Countries International table tennis this weekend. Well done to Luc Miller and Leon Pierre who took a bronze medal in the cadet doubles and to Luc Miller with a bronze in the cadet singles. 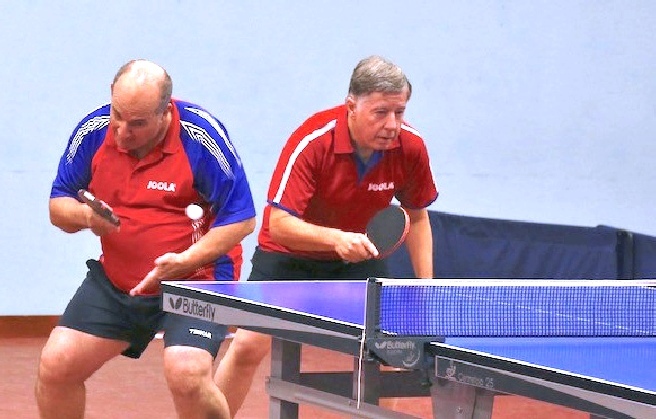 It is a huge achievement against such strong competition and are a credit to the JTTA and table tennis. Our senior and junior players also made a fantastic effort at such a big event. 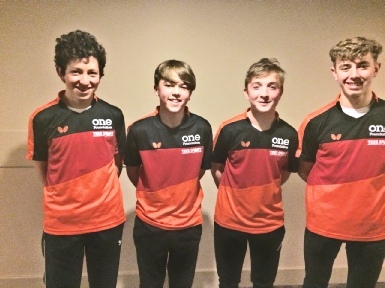 The Jersey Academy, sponsored by the ONE FOUNDATION for the third season, played in the first of two legs of the Junior British League table tennis competition last weekend at the Derby Arena, the ‘Wembley of Table Tennis’. In their first year, the team had qualified and were then promoted from Division 4 to Division 3 and at the end of the second season were promoted again to Division 2. Playing in their highest division so far and with a young team in what is an U18 competition, the Jersey Academy had their work cut out. The players were inspirationally led by 15 year old skipper Luc Miller, CI U21 open and U15 boys champion who made his Island Games debut for Jersey in Gotland in the summer and David Quinn (14) a seasoned campaigner from the previous 2 JBL seasons. Alfie Sutherland (13) had only competed once before in the JBL and rookie Leon Pierre (12), CI U13 boys champion completed the team. On the Saturday Miller led by example batting away all his opponents in the team’s 3 matches (winning all his 6 individual matches) against XLNT Draycott, Cardiff CCTC, and Ormsby but it was not enough to stop the Jersey Academy succumbing 2-4 to each team. Quinn had a couple of close encounters, losing 2-3 and 1-3 to Ormsby players and Pierre and Sutherland both bagged some games but they found the going tough in Division 2. On the Sunday Miller, now suffering from tonsillitis, heroically played on, but agonisingly lost out in three of his matches 2-3 (9-11 in the fifth). 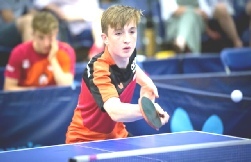 Pierre found his fluent form, playing his best table tennis of the weekend and he took the only scalp for the Jersey Academy against Colebridge winning 3-0 but Jersey Academy lost the match 1-5. This strong performance earned him a place in the team for the final match against Ashford but again the team went down 1-5, with Miller notching the only victory. Sutherland also produced some great table tennis in the last match as his confidence grew over the weekend. 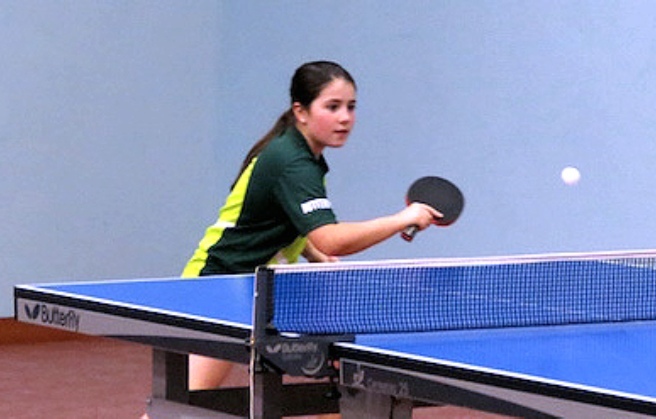 JTTA Coach Martin Tupper said, “It was a fantastic weekend of table tennis. The standard in Division 2 is much more challenging and it was a baptism of fire so the players have been left in no doubt about the training they will need to put in before the second leg in January”. 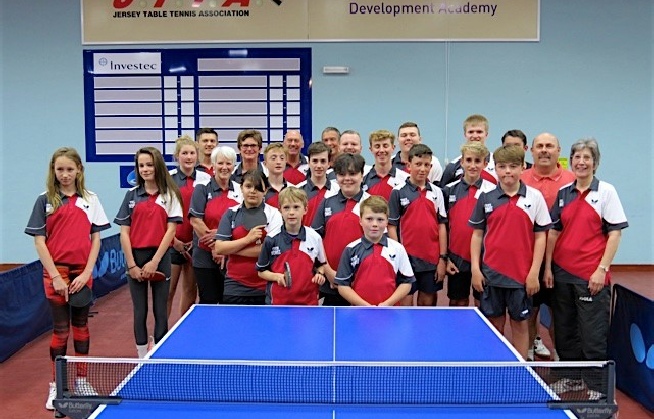 The Jersey Table Tennis Academy competed in the Butterfly Secondary Schools International held at the University of Worcester Arena over the weekend. 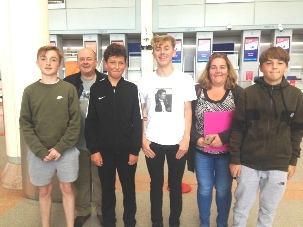 Led by Luc Miller and David Quinn in the U16A team, Alfie Sutherland and Thomas Cotillard partnered for the U16B team, whilst the trio of Leon Pierre, Max Roche and Noah Risby made up Jersey's U14 team. 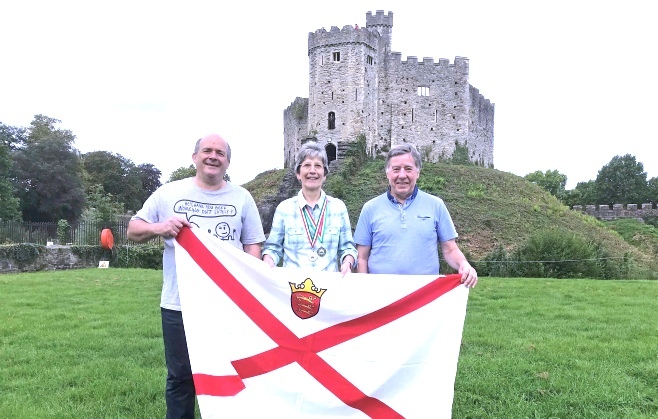 The Jersey team was coached by Martin Tupper, Tyler Gosselin and Hugo Tupper and the two umpires attending for Jersey were Duncan Mills and David Hole. In the U16 A Team event Miller and Quinn stormed past Ireland 4-1 and Guernsey B 5-0 but fell to England B 2-3 and Scotland A 0-5. In the positional matches they beat Guernsey A 3-0 and Ireland 3-1, closing out at a creditable 5th out of ten teams. Sutherland and Cotillard found the going much tougher in the U16 B team matches finishing 9th overall, having beaten Guernsey B 3-2 in their final match. In the Cadets (U14's) Jersey A's Pierre, Roche and Risby were pipped by Scotland B 2-3 and lost to England A 0-5 and Wales 1-4. However they regrouped, convincingly beating both the Isle of Man and Guernsey 5-0. In the positional play offs they lost to Scotland A 1-3 but beat Guernsey 3-1 to finish 7th out of ten teams. In the Singles events on Sunday, after qualifying from his group Miller came up against Sam Chesterman (ranked no. 17 England Junior) and emerged winner 3-2 in a closely fought match. In the quarter finals Miller dispatched Scotland's no. 6 Junior, Harvey McDonald 3-0 in a one sided affair, Miller dominating from the start. Miller next faced the event's no. 1 seed Dylan Curry (Scotland Junior no. 2). In a cagey match Luc lost in the tightest of matches: 14-16, 11-13, 8-11. Miller did have his opportunities to nick the first two games but Curry played the big points with a good serve and return game that outmatched Miller, leaving him to pick up the Bronze medal but his plucky performance demonstrated that he can compete with the best of the Home International players. Quinn narrowly missed out on qualifying from his group matches going down to Naphat Boonyaprapa (England no. 2 Cadet) and Charlie Morton (Scotland no. 2 Cadet). Despite being 2-0 up in both matches, Quinn didn't have quite enough to close them out, losing 8-11 and 9-11 in the fifth games respectively but he showed what he's really capable of. In the Cadets (U14's) event both Pierre and Risby got through their group matches with Pierre going down 1-3 to Ireland's Ciaran O'Donoghue and Risby losing out 0-3 to England's Ben Piggot. Sutherland reached the semi finals in the U16s Consolation event, having beaten Cotillard 3-1, but then lost out to the much stronger Connor Nugent of Ireland 3-0 in the semi finals. In the U14s Consolation event Roche got through to the finals as the only Jersey player competing in any finals but agonisingly went out to Scotland's Louis Loi 13-15, 8-11, 9-11, who had been beaten earlier in the day by Risby. Leon Pierre and Max Roche with coach, Tyler Gosselin, took part in the 22nd edition of the Games of the Islands in Catania, Sicily, this year. This is the first Jersey team for a few years. They were up against other island teams from the Azores, Malta, Martinique and Sicily. The team narrowly missed out on a bronze in the doubles competition. 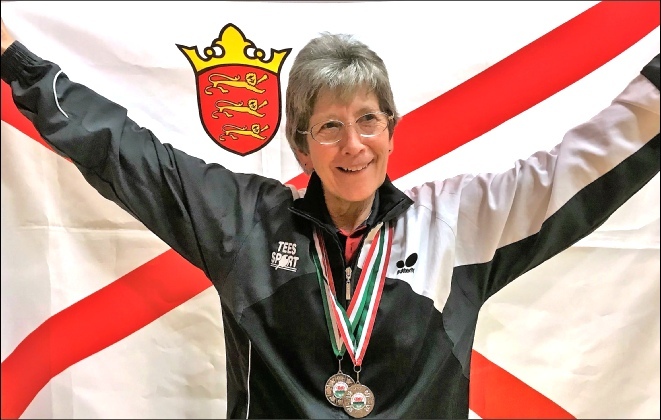 This event took place in Guernsey at the Table Tennis Centre, Hougue du Pommier, with the CI Championships on Friday, 27 April, in the evening. The Team Events were on Saturday, 28 April, in the morning, afternoon and evening. The weekend was a big occasion for our junior players, especially for some who had never taken part in such an important event. Guernsey reclaimed the Aggregate Trophy and the Green Trophy. Congratulations to Hannah Silcock for being voted "player of the day" by the President of the GTTA, Derek Webb. A wonderful achievement. This was a cup competition sponsored by INVESTEC Bank for League registered players within their own and, where relevant, higher divisions (17-19 April for the singles and 23-25 April for the doubles). 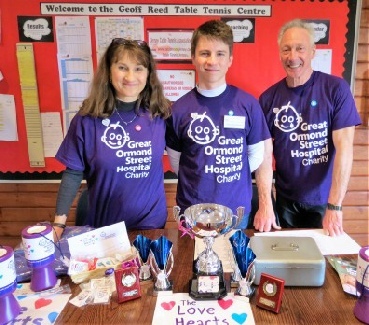 Following the suc cess of the last Love Hearts Appeal tournament, another one was organised to raise funds on Sunday, 15 April, 2018 at the GRTTC. Catherine MacLachlan and her family set up the charity in 2012 to fund groundbreaking research that could hep save the lives of children undergoing heart transplants. The event went very well again this year. In total 52 people turned up making 26 teams divided in two groups of 13 teams. Many visitors came to watch and support the event on the day, which was great. In all, we raised for this year (tournament and all donations online and offline included) approx. £2,400, which is fantastic news! Many thanks to Neil MacLachlan and all who gave their support and help.To make a donation click JUST GIVING and select the DONATE button. 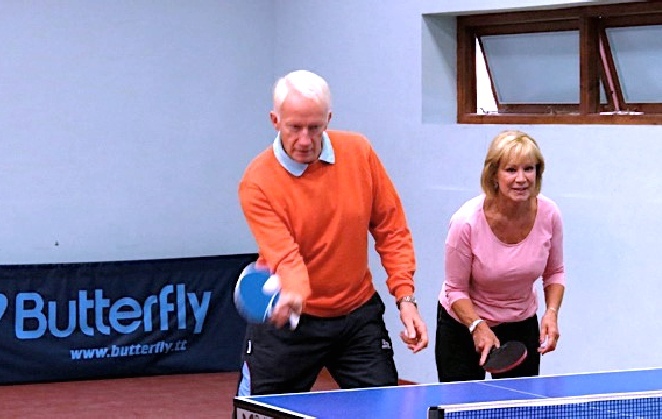 This tournament was part of Table Tennis England Grand Prix series (Jersey Satellite Grand Prix). 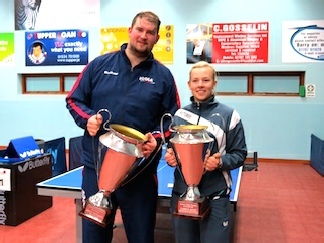 Men's singles winner, Chris Doran, and the women's singles winner, Hannah Hicks. Please read the news report by Chris Band about the three day event. The INVESTEC Island Championships took place over various days from 15-22 March, 2018 with the finals on Saturday, 24 March. 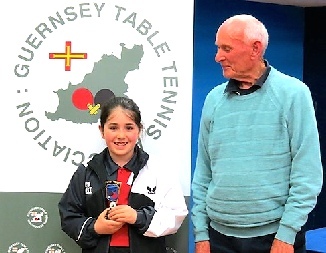 The winners get to play their Guernsey counterparts for the Channel Island Championships, which are in Guernsey on the 27 April. What a wonderful and exciting Island Championship Final we had on Saturday, 24th March, at the GRTTC. At times, I was on the edge of my seat in anticipation as to who was going to win and the incredible talent of our players, which we sometimes take for granted. We are also fortunate to have the facilities at the GRTTC to play such games. 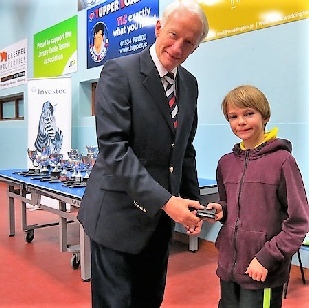 The Lieutenant Governor Air Chief Marshall Sir Stephen Dalton came to the centre at 11.15am a little bit later than anticipated due to heavy traffic and presented some of the Trophies. Unfortunately, he had to leave earlier than anticipated due to another engagement. He thoroughly enjoyed the Tournament and commented quiet frequently about the standard of play. Although everyone played amazing games, I personally must congratulate Taylor Roach and John Le Fondre for playing such a tension filled and also a very close match. You both had us on the edge of our seats even the Lieutenant Governor!. Well done to both of you and all the other players, we are very lucky to have such talent in our Association and I was beaming with pride for all of you. You did not let us down. I only wish you could all have had a trophy, because the standard of play on Saturday was truly professional! Well done! 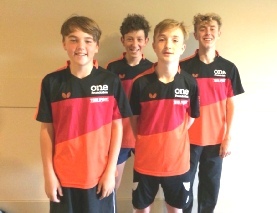 The Jersey Academy, sponsored by the ONE FOUNDATION, travelled to Derby last weekend to compete in the second leg of Division 2B of the Junior British League. 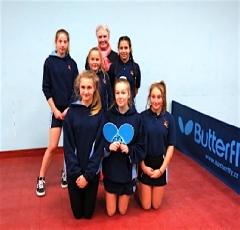 The young team found the going tough against challenging opposition from all over England, dropping their first match on Saturday to League runners-up Draycott 1-5, with only 16 year old Victoria College student, Luc Miller clinching 1 singles match. Miller again registered the only 2 wins against second opponent up, Ashford, both 11-9 in the fifth. 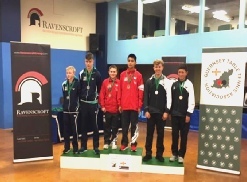 Alfie Sutherland, runner-up in the recent Secondary School Boys team tournament in Jersey, was unwell over the weekend but gallantly took both his opponents to 4 games. League winners Cardiff also proved too strong but the Jersey Academy avoided a total whitewash with Miller chalking up a win. Sunday dawned with Jersey Academy’s penultimate match, against Colebridge. Miller got the team off to a flying start scoring the first singles win 11-8 in the fifth game. Leon Pierre, the youngest team member and CI U13 boys champion, continued the good work, landing the third match 3-1 against Marcus Holba, giving the Academy a 2-1 lead. Miller then faced up to Samuel Wilson, ranked 23 England Junior and in the best match of the weekend emerged 3-2 winner, 11-8 in the fifth. With the Jersey Academy now 3-2 up David Quinn was next in the queue. Playing his best table tennis of this leg, he too swept past Holba 3-1, giving Jersey Academy a 4-2 victory to register their first points on the table. In the final match against Ormesby Quinn had an opportunity to clinch the first game but went down 2-3, agonisingly 11-8 in the fifth. Despite Miller bagging his two matches, the Jersey Academy lost out 2-4 to Ormesby. 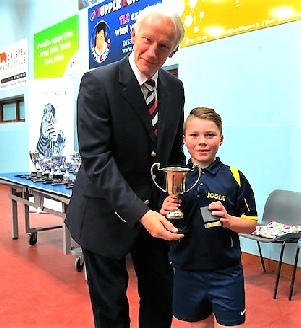 Jersey Academy coach, Martin Tupper said “Luc was the stand-out performer for the team, finishing third in the individual averages as he won 8 of his 10 matches over the weekend with several going to 5 games. 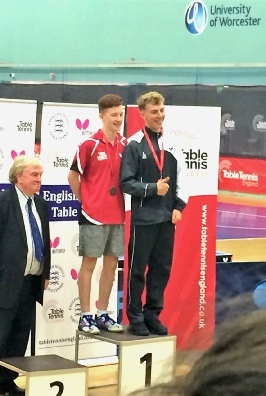 It was a fantastic achievement for Luc and he beat 3 juniors ranked in the top 50 in England with the consistency we saw at the Gotland Island Games. When Luc was supported by his team mates it showed that the Jersey Academy can compete at this level. They beat Colebridge 4-2, who finished third in the league. 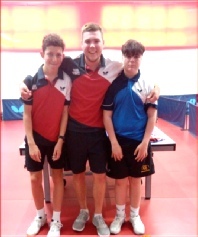 David, Leon and Alfie all struggled a bit but I am sure they will have found it a great experience and excellent preparation for the forthcoming Island Championships, the Jersey Open at Easter and the Inter Insulars over the next 2 months. Hugo Tupper, former CI Men’s champion, and his brother Max assisted in coaching the team on the Saturday and they were supported by Luke Greenfield, a Jersey Academy Junior British League player for the past 2 seasons. Both Hugo and Luke have been playing for their respective university teams this year, Nottingham Trent and Loughborough.